(0 Customer Reviews) | Write Review 6 issues per year New Smallholding magazine is a back-to-basics magazine for real smallholders; those with at least an acre or more to work and with a desire, at some stage, to be earning sufficient income and satisfaction just from living off the land. New Smallholding will tell the stories of those who are deeply involved in their passion. There will be regular content on the management of chickens, other poultry, pigs and, of course, fruit and vegetables; plus a special section devoted to sheep, goats and alpacas. New Smallholding magazine is a back-to-basics magazine for real smallholders; those with at least an acre or more to work and with a desire, at some stage, to be earning sufficient income and satisfaction just from living off the land. New Smallholding will tell the stories of those who are deeply involved in their passion. There will be regular content on the management of chickens, other poultry, pigs and, of course, fruit and vegetables; plus a special section devoted to sheep, goats and alpacas. 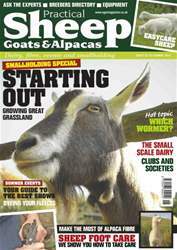 You'll receive 6 issues during a 1 year Smallholding magazine subscription. 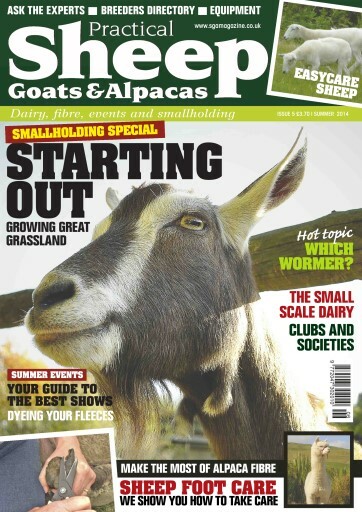 You'll receive 6 issues during a 1 year Smallholding magazine print subscription.